Click here for more Milwaukee job site lighting solutions. 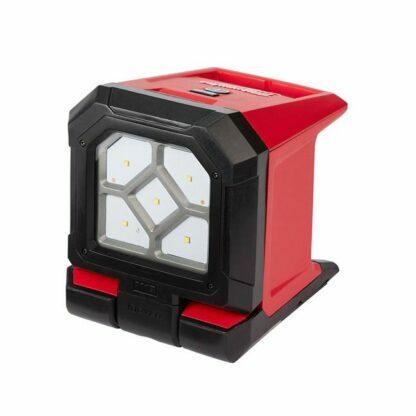 This light was on my wish list for a bit since my only good battery powered light was Milwaukee’s search lamp. I bought this for the rotating head design and magnets and I thought the clamping part would just be useful for home construction, but the first time I used it I had to clamp it onto a door to give me perfect lighting into an adjacent closet, that’s when I decided that I was thoroughly impressed with it’s design. I use a 5.0ah battery with it and battery life seems to be right where Milwaukee claims.